home of the commencement of this nation’s oil boom. He graduated from the University of Texas at Austin in 2001, with a B.A. in Economics, and from South Texas College of Law in 2004, with a Juris Doctorate. Mr. Faulk has extensive experience in the oil and gas business, beginning his career in the industry as a independent landman, preparing title runsheets throughout Texas and assisting in the acquisition and divestiture of numerous pipelines and gathering systems. Mr. Faulk carried this invaluable experience and “landman mentality” to his law practice, where he has authored hundreds of title opinions and drafted numerous leases, conveyancing instruments and related agreements utilized in the industry. He is well versed in drafting quality, cost-effective work product and strives to provide the ultimate responsiveness to his clients with a cost-effective mindset. Mr. Faulk's experience in title and property matters has also provided a natural extension of his practice into the area of real estate law. Mr. Faulk has represented business entities as well as individuals in both commercial and residential real estate matters, including landlord/tenant leasing matters and the acquisition and disposition of real property. Mr. Faulk takes the same hardworking, cost-effective mindset in performing these services, including instrument analysis, document drafting and negotiating contracts, and makes every effort to provide the same attentiveness to each client, whether big or small. 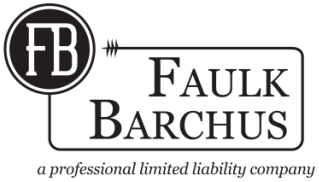 Mr. Faulk is admitted to practice before State Courts in Texas and is a member of the Houston Bar Association, the Oil, Gas & Energy Resources Law Section of the Texas Bar and the Real Estate, Probate and Trust Law Section of the Texas Bar. Mr. Faulk resides in Houston with his wife, Brittany, son, Bobby, and daughter, Hallie.